A view of the platform for Building 13B, which doubles as the parking garage for the Viceroy hotel,. The hotel is in the completed building in the background, which is also called Building 13A. 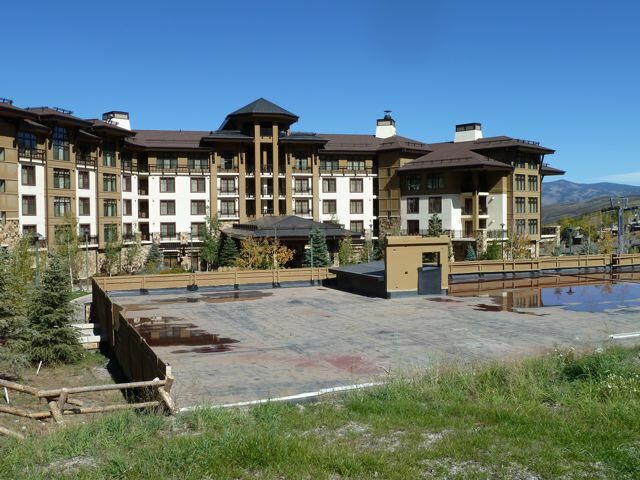 SNOWMASS VILLAGE — The developers of Base Village in Snowmass may seek to change the use of the second phase-building of the Viceroy, which was approved as a condo hotel. 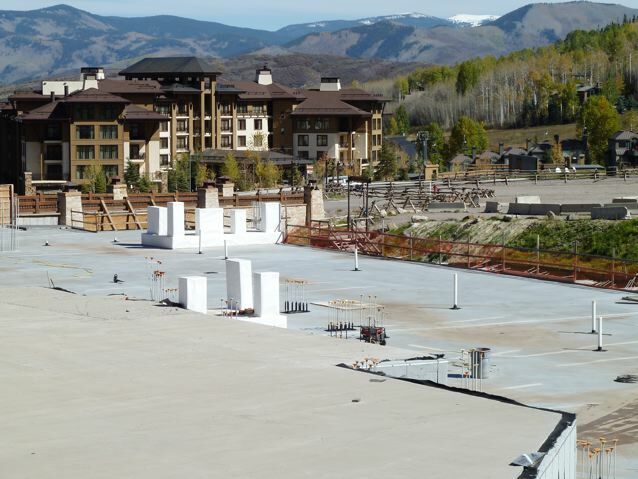 Snowmass Village planners are reviewing plans for a proposed seven-story, 86,000-square-foot building that includes 67 residences just uphill from the existing Viceroy Hotel. But that second phase of the Viceroy, commonly called “13B” and first submitted to the town for a building permit on March 24, may end up different than envisioned. The building’s owner, Snowmass Acquisition Co. LLC, wants to open a new dialog with the town about changing its original approvals. Snowmass Acquisition Co. LLC, the entity created to repurchase all of Base Village, is a subsidiary of Related Colorado. It recently submitted a “pre-sketch plan review” of the Base Village development, asking to start a conversation about approved buildings, public improvements and an extension of the project’s vesting rights. The initial Base Village project was approved 10 years ago. 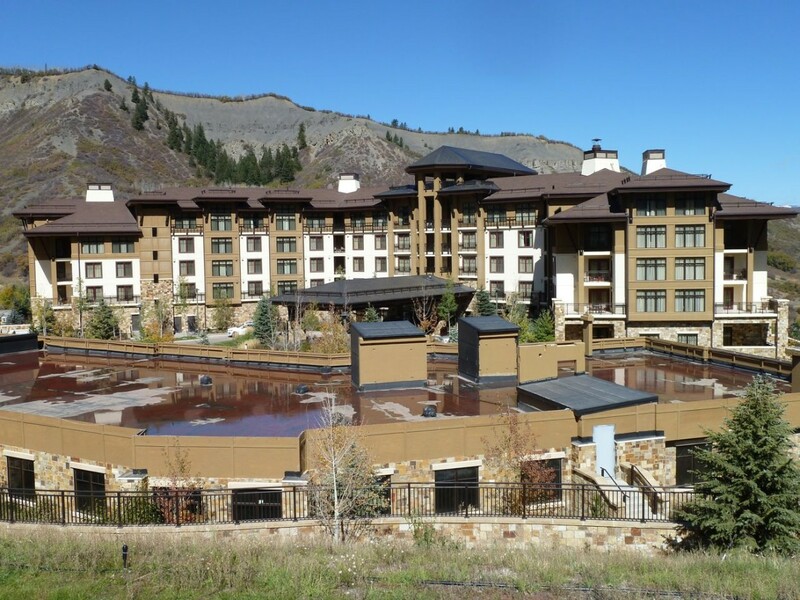 A series of meetings between Town Council, Snowmass Village Planning Commission, Snowmass Acquisition LLC and the public have been scheduled to discuss the stalled project. The first is set for May 20 from 6-8 p.m. in Snowmass Village Town Council chambers. “The pre-sketch plan meeting was intended for the applicant to have more of a community conversation with the Town Council and Planning Commission,” said Julie Ann Woods, the community development director for the town of Snowmass Village. “Hopefully by the end of that third meeting there will generally be some consensus about what’s important to town, the community and Snowmass Acquisition Co.,” Woods added. Dwayne Romero, CEO of Snowmass Acquisition Co., specifically wants to discuss the idea of re-purposing 13B. The summary of the pre-sketch development proposal includes asking whether 13B should be changed to an “amenities+employee housing” building. Market conditions have changed tremendously since the first Base Village approval of 2004 and Romero has said that re-examination of the plan is necessary in order to provide a salable product. Snowmass Acquisition Co. L.L.C’s non-binding series of discussions that open Tuesday and include Town Council and the planning commission, is expected to include the floating of trial balloons. Could a promise of more employee housing make a private club an easier sell to elected officials? Romero suggested he won’t be afraid to at least ask. That’s not all Romero will want to talk about with elected officials, town staff and the public during these non-binding meetings. • Lot 2, site of the now-cancelled Limelight Hotel project. “Changes could include change of use to hotel and/or fractional, change in unit count across Building 4AB and 5, and the elimination of the Building 9 series,” according to the application. Lot 2 was originally envisioned for condo units and mixed-use buildings. • On Lot 3, the applicant is exploring whether time-share could work in buildings 6, 7 and 8 and whether the unit count should increase accordingly. The transit center and the buildings with faux fronts along Wood Road are part of this section. • Other agreements centering on parking and restricted housing could be addressed. • Extension of the project’s initial vesting date to Nov. 3, 2019, (from 2014) will also be part of the upcoming discussions. Editor’s note: Aspen Journalism’s Government Desk collaborated with the Aspen Daily News on this story. The News ran a version of story on Wednesday, May 14, 2014.